perfect. Bought a gel battery that didn't last a year so have gone back to this OEM battery - better turning power and holds charge longer! Quick delivery. Good packing. Was really happy with the service and quality. Very pleased with this deal. 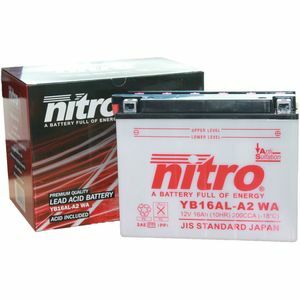 Good website, product clearly defined for my motorbike, very fast delivery, instructions easy to follow and finally the battery worked great. Thanks, would use you again but hoping the battery lasts so it won't be soon haha.